What are some things that British people love? Every nation has its idiosyncrasies. 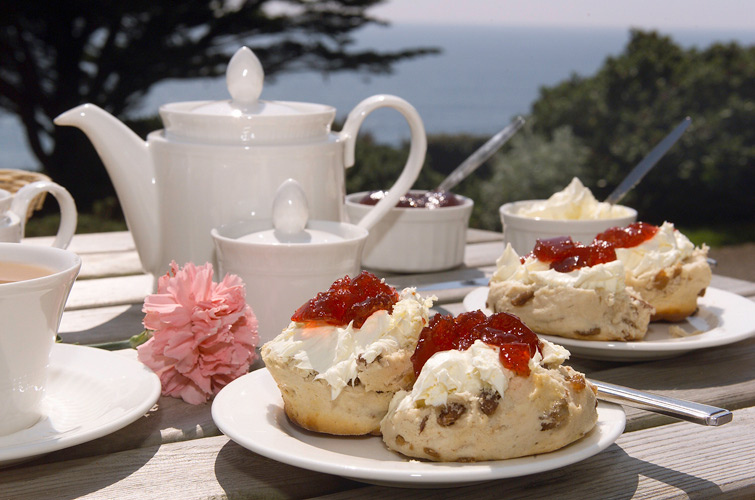 Here are five things Brits love that set us apart from the global crowd. You can keep your lapsang souchong and your frou frou fruit infusions. What Brits want is a proper brew. We want it strong, we want it milky and we want it in a mug. Tea is so important to our way of life that the Girl Guide movement designed a badge to measure a Brownie’s competence in making it. Traditionalists will tell you to use a teapot – china, pottery or stainless steel – but modern life requires a swifter approach. A quick dunk of the bag directly into the cup is all that’s needed. Brits love talking about the weather. Actually, we love complaining about the weather. It’s too wet or too hot or there’s the wrong kind of snow. The fact that our national newspapers and television bulletins frequently lead on what kind of weather we’ve been having, or are about to have, gives an accurate reflection of just how obsessed we are with temperature and wind speed. Is there anywhere else in the world that bets on whether there will be a white Christmas? You’d think our weather experts would understand the importance of getting their predictions right. Sadly, in 1987, BBC weather man Michael Fish got it spectacularly wrong. He poo-pooed the idea that a hurricane was on its way just hours before gale force winds flattened parts of Britain. Twenty-eight years later and we’re still blaming/laughing at him for it. The Grand National is one of the most famous race meets in the UK, along with the Royal Ascot and Cheltenham Festival. In April this year, forty horses bravely tackled the four-and-a-half mile course at Aintree, facing 30 fences some of which are so daunting that they have gained their own notoriety – Becher’s Brook, The Chair, Canal Turn. Households the length and breadth of Britain love to have a flutter on the horse racing basing their random picks on silk colours or name. This year, all eyes were on champion jockey Tony McCoy who has announced his retirement at the end of this, his 19th season. Our respect for the queuing system is acknowledged worldwide. It seems part of our genetic make-up to stand in line and wait our turn. We’re even prepared to virtually queue thanks to electronic telephone systems that put us on hold until an operator becomes available. It should be noted that while the British embrace the concept of queuing, we will generally do what we can to avoid it. Pushing in is definitely beyond the pale, but loud tutting is an acceptable tactic. British people are also quite happy to arrive at a venue extra early to be at the front of the queue to get in. We will also leave before the entertainment is over to avoid getting stuck in a queue for the exit. It should really be beef and Yorkshire Pudding and ideally cooked by your mum. But you can be guaranteed a hearty bellyful wherever you are in the country courtesy of pretty much any pub that’s open for business. For a real treat, there’s the carvery option. 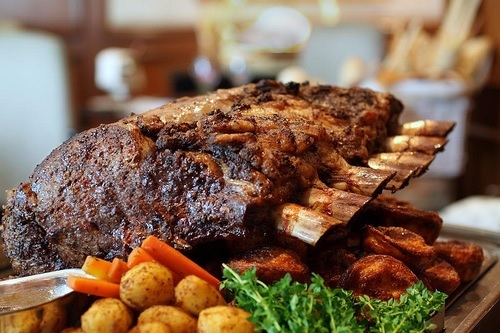 What’s particularly brilliant about a carvery is the mix and match opportunities. Yorkshire pudding with pork, sage and onion stuffing with lamb, horseradish with chicken. . .the combinations are endless.